Your cables should have a tight fit. If they slide off the battery posts when slightly pulled, they’re not properly attached, and your car could end up inconveniently dying on you. 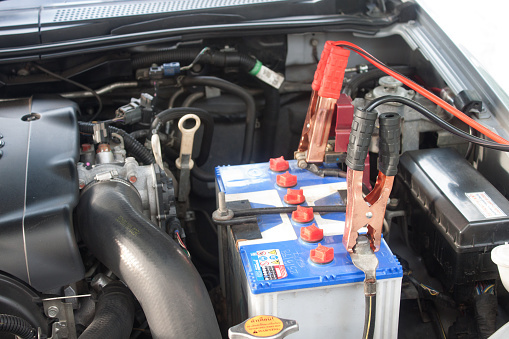 Even if your battery cables are connected well, your car still may not start if the cable terminals (clamps) are corroded. Look for a whitish powdery substance where the terminals connect the cables to the battery posts. This is sulfuric acid and hydrogen crystals that form from the battery’s gas. Because it’s acidic, don’t touch or get this on your clothing. If need be, you can brush it off with an old wire brush. If you need a new battery, check your owner’s manual to make sure you use the proper type and size for your vehicle.